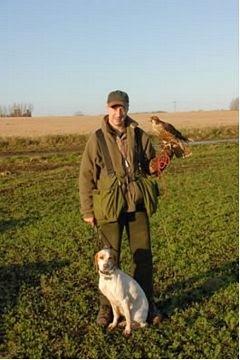 Years ago I started researching falconry as a hunting sport. Since then I have pored through hundreds of websites, PDFs, falconry videos on YouTube and even books on the topic of falconry. But sadly I live in Toronto and I would need to move to the countryside in order to pursue falconry as a sport. To me it seemed like a great combination of man and beast, working together for the purposes of hunting rabbits and other small prey. However there are some problems with getting into falconry / hunting with predator birds. #1. You cannot live in a city. 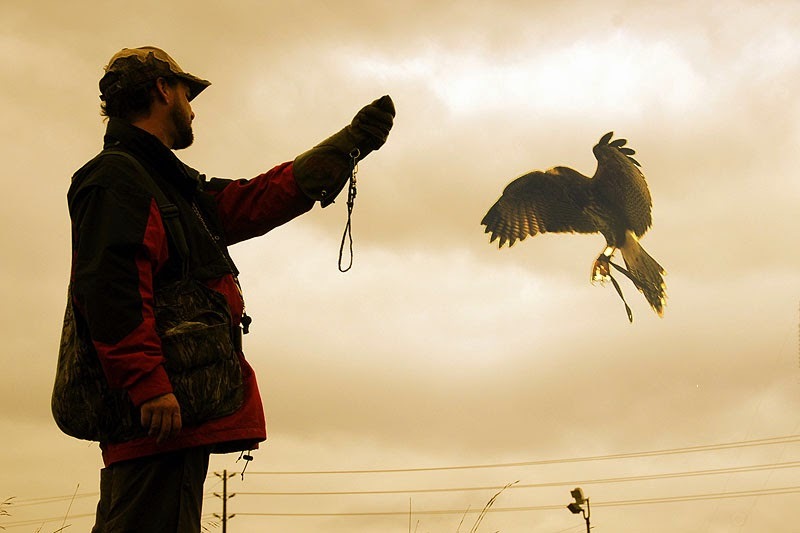 Falcons, hawks, eagles and owls (all birds you can train and own under a falconry license) are too danger prone due to the excessive overhead power lines in a city. To say nothing of traffic, air pollution, scarcity of food and other dangers that pose a risk to a raptor's well-being. #2. You really need to live on a farm or in a cabin, somewhere in the countryside or wilderness. Raptor birds need lots of room to hunt and roam. #3. 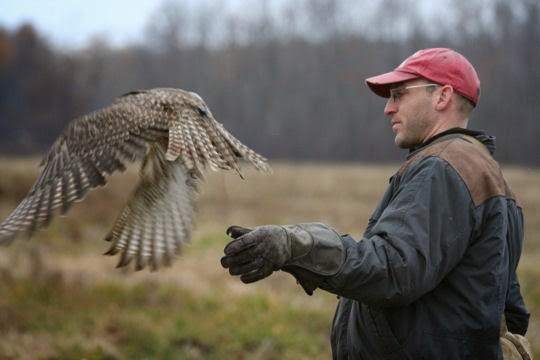 The Ontario government and various Falconry clubs actively discourage people from taking up falconry. This is to discourage 'bad eggs', people who are just getting into falconry on a lark (bird pun intended), and people who simply don't have the time to give their bird the full attention it requires. #4. Expensive Activity. 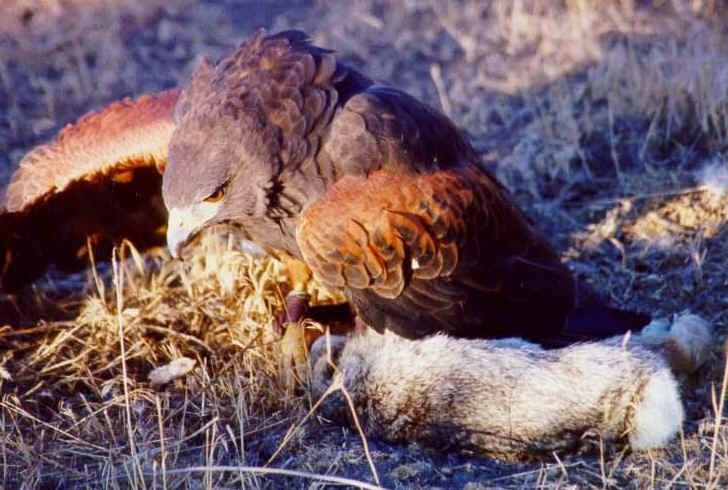 Falconry is not a cheap way to hunt. Buying a trained raptor costs $1000 to $2000. Plus vet costs, equipment, food, housing for your raptor. If you want a cheap way to get food take up fishing or bowhunting. Falconry is really just for people who LOVE birds and appreciate their hunting instincts. $5. Falconry is NOT a hobby, and falcons are not pets either. 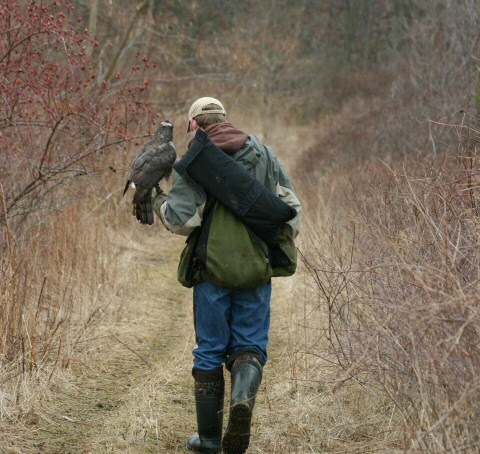 Falconry is really more a lifestyle and has to be a large part of your life or not at all. #6. You have to apprentice for 15 months to get your falconry license. #7. You need to get your H2 Outdoor Card to hunt with a falcon. NOTE - I recently had an argument with a moronic woman on Facebook (feel free to send Cynthia Davies of Collingwood Ontario some hatemail) who thought falconry was a barbaric and cruel sport that tortured the birds and denied them their freedom. Quote: "I do not believe any animal or bird should be used as entertainment for humans. I think the whole practice sounds disgusting." While her heart might be in the right place, her crazy views could not be further from the truth. Falconry is a noble sport that works with predator birds for hunting purposes, but keeps very good care of their animal companions. Falcons are not pets. They are hunting companions and they are treated with respect and care.